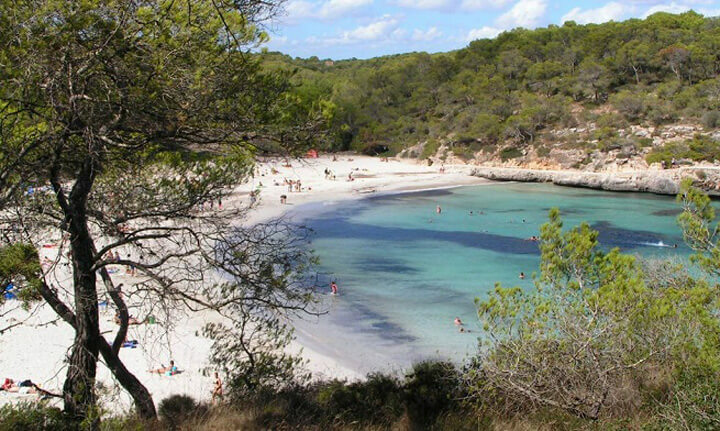 S'Amarador beach is part of Cala Mondragó. North facing, opposite Cala Mondragó, both are connected by a promenade made in the rock and the waters are clean and transparent, with lots of marine life, perfect for swimming and diving in some areas. The setting is a fully virgin pine forests. White sandy beach, fairly level and calm waters. It stresses that the pool closes, damming the water from the stream that flows into this beach, as small lagoon, where it is reintroducing the tortoise since 1985.